WE’LL MAKE SURE YOU WON’T BUY A BANGER! When you’re buying your next used car, why not let the experts take a look at it first? 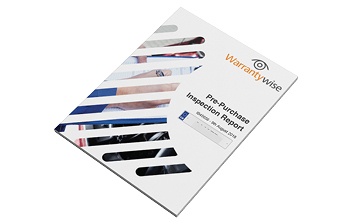 We’ll send a Warrantywise appointed professional vehicle inspector out to your car to inspect it BEFORE you buy and give you a full photographic report on the condition of the car. That way, you can be sure your next used car won’t be a banger! We check more parts than any of our competitors and regularly compare and refine our service to ensure you’re getting the absolute best level of inspection. We can tailor a vehicle inspection to suit your requirements. Complete the form below and we will call you to discuss. A comprehensive vehicle health check including reports on the Engine, Interior Report, Exhaust, Electrics, Brakes, Fuel System, Suspension Report, Transmission, MOT History and if the vehicle has ever been reported stolen, written off, scrapped, had any previous number plates, finance and any other important information. We have been providing the UK's Best Warranties since 2000. We’ve brought peace of mind to over 750,000 customers. No other warranty provider can boast such positive feedback. No Quibble 30 day Money Back Guarantee with a full refund. Frequently recognised for great product and service they provide. Awarded their Gold Trusted Merchant award for 2017. For your convinience we can perform the inspection at a location of your choosing, whether it be at your home, office or at a dealership. We cross-check the vehicle with data from the police, DVLA, and finance and insurance firms to reveal a vehicle’s full history, enabling you to make a more informed decision. We include photographs with every inspection that is undertaken, this helps us to better explain any issues with that the vehicle may have. We offer a unique vehicle inspection service that can be tailored to your requirements, whether you are looking to purchase or already own the vehicle.